Do you want to know How To Get Adult Rss Feeds here we cover mobile and desktop. With a mobile simply go to the feed you like in your mobile browser click on the feed and the mobile will do the rest if you have a computer we recommend browser based feed readers below is the one we have trialed for chrome but in general all rss readers follow the same method. Once Slick RSS is installed, a small icon will appear just to the right of Chrome’s URL bar. Click the icon to bring up Slick RSS. Once in Slick RSS, click the “manage” link below the icon. Here is where you can add RSS feeds for Slick to start displaying. Go to http://www.adultrss.com/find-feed/ and find a feed you would like to add. Right click on the orange text of the feed name and click “copy link address”. Back in Slick RSS, paste the feed’s URL into the field, give it a name, then click add. Paste in the addresses of any other feeds in the same way, and click save once you’re done adding feeds. You’ll be brought back to the main page of Slick RSS with your newly added feeds on the list to the left. Most RSS readers work in the same way. Copy and paste the feed URL (link address) and add it to the reader. 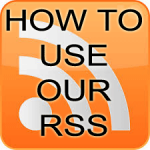 RSS readers are available on most internet browsers as well as widgets on your computer’s desktop and also on some mobile devices. We will be adding sound to this clip if you need more help so please stay tuned.